Heat up the night in the solid color top! 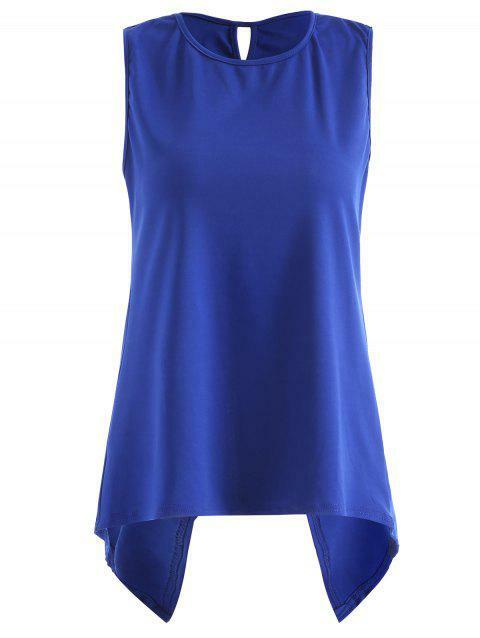 Soft fabric forms a round neckline, flirty criss-cross on the back, a sleeveless design and asymmetric hem. Pair it with jeans, pants or shorts.